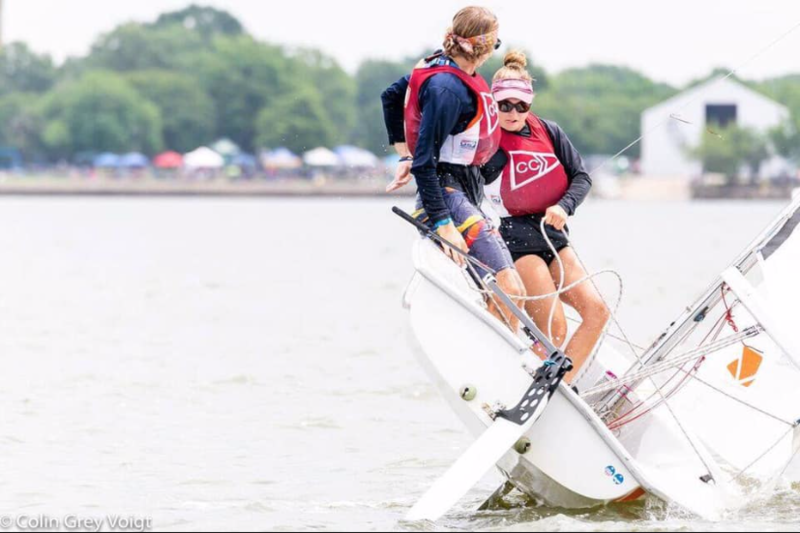 You are here: Home / Featured News / S1D ICSA Team Race Rankings UPDATE #3, and College Sailing Weekend News Report! 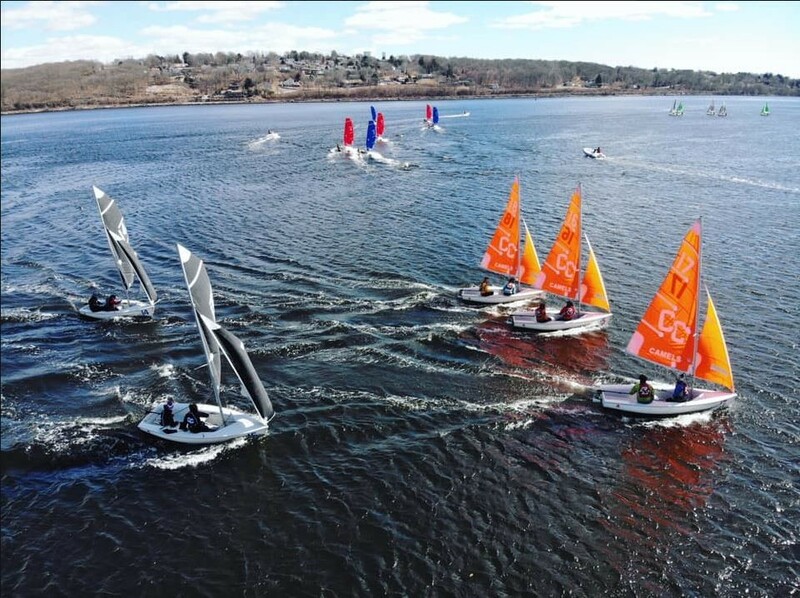 S1D ICSA Team Race Rankings UPDATE #3, and College Sailing Weekend News Report! 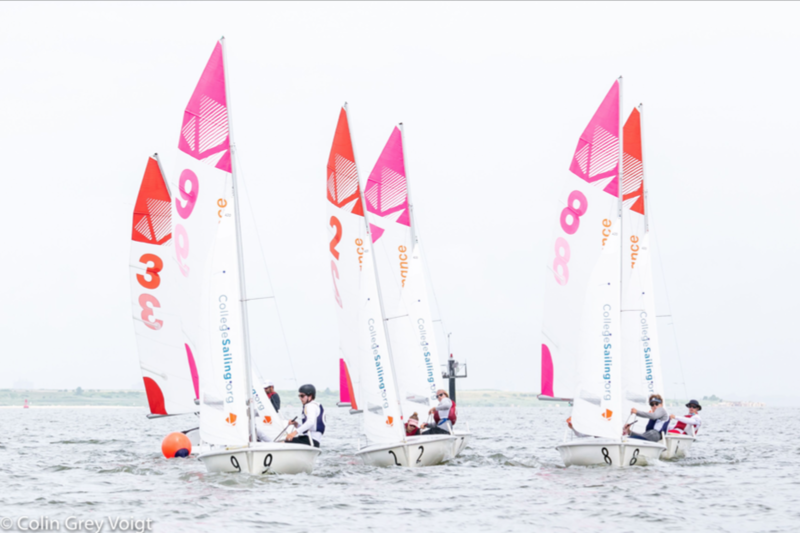 After an action-packed and exciting weekend of sailing, the latest S1D ICSA Team Race Rankings are now live, complete with coach comments!! To see the updated ICSA Team Race Rankings and coach analysis, CLICK HERE! Yale won the event finishing with a 14-1 record, only dropping one race throughout the 122 race regatta. Yale sailed their standard squad of Nic Baird ‘19, Nick Hernandez ‘19 and Shawn Harvey ‘21 at the helm of each of the three boats alongside Graceann Nicolosi ‘20, Sonia Lingos-Utley ‘21, Claudia Loiacono ‘21, Catherine Webb ‘22 and Sam Tobin ‘22 in the front of the boat, rotating depending on the breeze. Whether it was the conditions or skill that favored Yale, the Bulldogs started the event by winning their first 10 races sailed before dropping their first and only race in race 75 of the regatta, at the hands of St. Mary’s College. Yale finished the regatta by sailing a perfect Sunday, 3-0 including a 1-2-3 finish against an excellent Georgetown team in the school’s first showdown of the young spring team race season. Charleston finished second with a 12-3 record, winning a tie-breaking sailoff with Georgetown. Again, Charleston leaned on Augie Dale ‘19 and Katherine Lounsbury ‘20 as they adjust to a drastically different team than last year’s championship winning one. Compared to Yale and Georgetown, this Charleston is unseasoned but also that means we don’t know how good they can be. According to techscore, Steven Leuck, a junior, has only sailed 8 regattas in his college sailing career. Alie Toppa ‘20, on the other hand, has sailed 36 events. But this is only her third team race. Despite inexperience outside Dale and Lounsbury’s boat, clearly the Cougars are doing something right. The latest S1D ICSA Team Race Rankings are now live, complete with coach comments!! Navy finished fourth with a 11-4 record while Hobart and William Smith finished 5th with a 9-6 record. Yale won the St. Mary’s Women’s Interconference to add to their team’s success over the weekend. Finishing with 150 total points after 14 races sailed in each division, the Bulldogs finished 22 points ahead of Harvard. Finishing in the top-4 in both divisions the victory was clearly a team effort for Yale. However, the A-Division effort by Louisa Nordstrom ‘20, Kathryn Clulo ‘21 and Catherine Mollerus ‘21 was especially impressive due to the way it started- with six of the first 8 races sailed, in big breeze, scored in the top-3. The two anomalies for Nordstrom, Clulo and Mollerus, a 4th and a 6th. The three Yale sailors won the division by 3 points over Boston College’s Isabella Loosbrock ‘19 and Emma Perry ‘19. The B-Division performance by Yale was nothing to scoff at. Finishing 10 points out of the division win, Christine Klingler ‘20, Catherine Mollerus ‘21 and Kira Woods ‘19 only had 3 races outside the top-8 the entire 14 race event. “We trained for the past four days prior to this event,” continued Coach Healy “Comfort with each other is key and we are going to work on comfort all Spring. And never giving up- There were opportunities to gain and lose especially on Sunday at St. Mary’s. They gained more in those changing situation then they lost. There were times when things looked bleak and they had the skill to take advantage of situations when presented. Not to say that they weren’t ever on the short end of the stick! And Chrissy, Cate and Kira should have won B as well but were tossed in an unfortunate protest. So everyone sailed really well while still taking stuff home to work on. Harvard finished 2nd with 172 points while Hobart and William Smith finished 3rd with 180 points. Katherine Cox ‘20, Kate Homet ‘19 and Cailin Gensler ‘21 won B-Division narrowly, putting together a string of top-3’s to start the event, only finishing outside the top-3 in one of the first 8 races sailed. Boston College won the Southern New England Team Race with a 15-2 record at Connecticut College, the host site of the New England Championship. The Eagles started well, finishing the first round robin with a 7-2 record. However, Bowdoin too started the first round at 7-2 and MIT did one better, putting up 8 wins in their first 9 races. The Eagles turned it on in the second round robin, going undefeated and winning the regatta. Boston College sailed Wade Waddell ‘19, Sophia Reineke ‘21, Thomas Walden ‘20 and Peter Lynn ‘19 at the helm with Katharine Bowman ‘20, Tara Ferraris ‘19, Caroline Downey ‘19 and Lauren Seigel ‘20 in the front. Bowdoin finished second with a 14-4 record. MIT finished 3rd, tied with Bowdoin, but losing the tie-breaker on points.